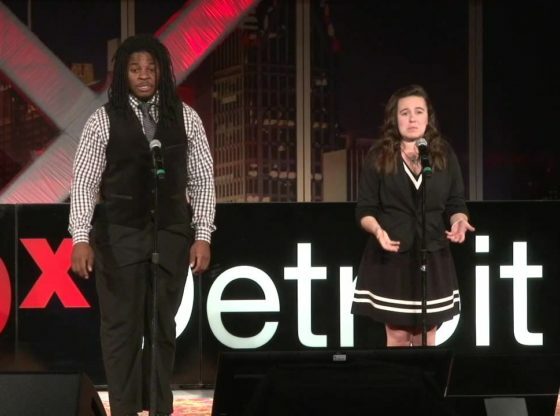 Darius and Scout trade mics and perform a powerful spoken word poem that delves into their experiences combating white privilege, reproductive rights, male privilege and dating while black. Scout is a poet-activist from Flint Michigan. She is a sophomore studying English Secondary Education at Eastern Michigan University. She is the founder of Feminist United at EMU, Managing Editor for the Eastern Echo, and the current Vice President of The EMU Poetry Society. Darius Simpson is a poet-activist from Akron, OH. He is studying Political Science at Eastern Michigan University. From Spring 2013-Spring 2015 Darius was President of The Eastern Michigan University Poetry Society. He is known globally for his spoken word. Welcome to Creepypasta.com! Scaring you since 2008 with paranormal stories and short horror microfiction. A “creepypasta” is a short piece of horror fiction. The name is a play on the 4chan slang of “copypasta” when the creepypasta meme first began, there was a set group of pastas that tended to get shared over and over.